The very best in staff achievement has been recognised in Claims Consortium Group’s first annual awards. We celebrated a record year with a fun-packed award ceremony at Taunton’s Brewhouse theatre and arts centre on 9 September. The evening featured 17 awards in total, including six awards for firms in our supplier network. Big winner of the evening was the company’s Learning & Development Team Leader Rob Chilcott, who was handed the overall Commendation Award. More than 240 staff and suppliers attended the event and enjoyed a buffet meal and disco as part of the celebration, with award-winning comedian Stephen Grant as compere. The night also featured the first public performance of the Claims Consortium band, which is producing a song to raise money for another of its charities, Stand Against Violence. 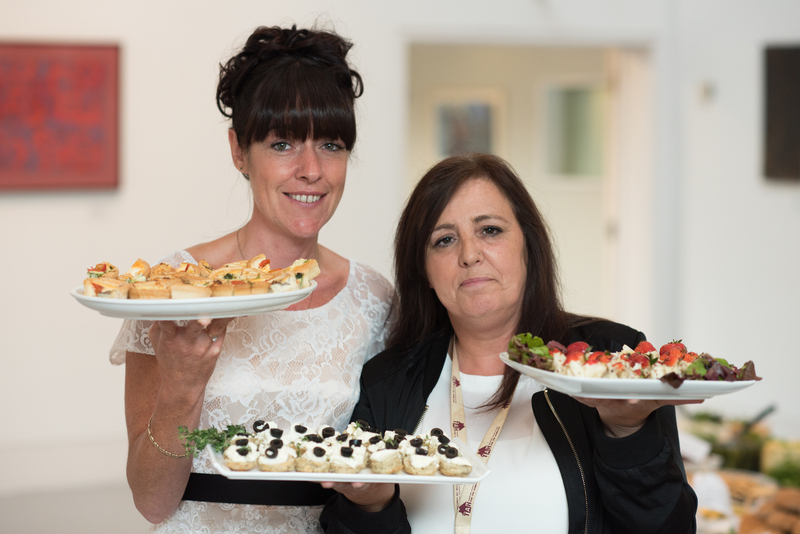 In a true charitable style Claims Consortium also catered for 60 extra meals, donated to Taunton Association for the Homeless, one of the local charities it supports. The photo shows Debbie Mawer (left), Director of People and Culture at Claims Consortium, with Nicky Stanton from Taunton Association for the Homeless. Jeremy Hyams, CEO at Claims Consortium Group, said: “There have been so many great achievements from staff at all levels of our business over the past year. Our judging panel had a tough time shortlisting, let alone picking the winners on the night.